With winter rains swelling the Carmel River, the Monterey Peninsula Water Management District (MPWMD) is pleased to announce that over 300 Steelhead Trout have entered the river to spawn. After four years of drought with very low steelhead counts in the last two years, including the 2014 winter when the river did not reach the sea and no fish were able to make it in from the ocean, the annual Carmel River steelhead run appears to be rebounding far better than expected. 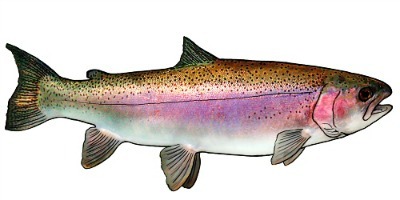 Since the lagoon opened in early January 2016, data provided by a hydroacoustic camera placed in the lower river suggests that more than 300 adult steelhead entered the river through March 31, 2016. The data set has not undergone final review for quality control, so is considered a provisional estimate and subject to change, however, the number of returning steelhead is far greater than what occurred in the first year after the end of the last major drought between 1987 and 1991, when only 15 returning adults were recorded at San Clemente Dam in 1992. 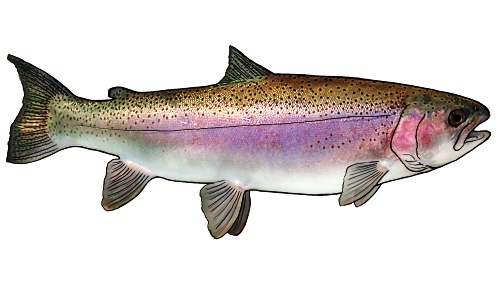 The final steelhead run size estimate for the 2016 migratory season will be released to the public and resource management agencies when the data are fully reviewed and finalized. It is no longer possible to report the data on a continuous basis, now that the San Clemente Dam ladder and its fish counting station no longer exist. The District is also conducting periodic walks of 24 miles of the main stem Carmel River to look for steelhead nests, called redds. Data from the surveys will also be made publicly available after review.